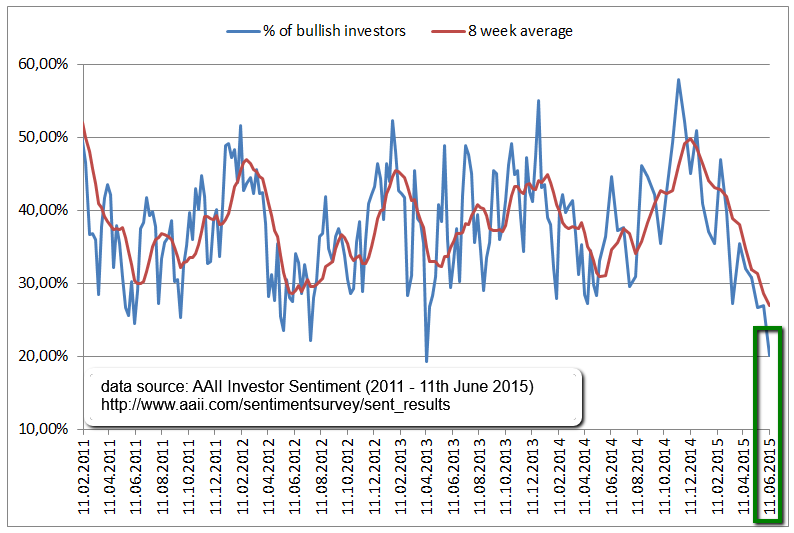 AAII Investor Sentiment (June 2015) bullish reading 20% only! in this context the short BBC-article should be mentioned, where the German Chancellor Angela Merkel has warned that time is running out for a deal to keep Greece in the eurozone. Speaking after the G7 summit in Germany, she said Europe would show solidarity but only if Greece "makes proposals and implements reforms". Earlier, Greek Finance Minister Yanis Varoufakis said it was time to stop finger-pointing and find an agreement.